So make it a special day! 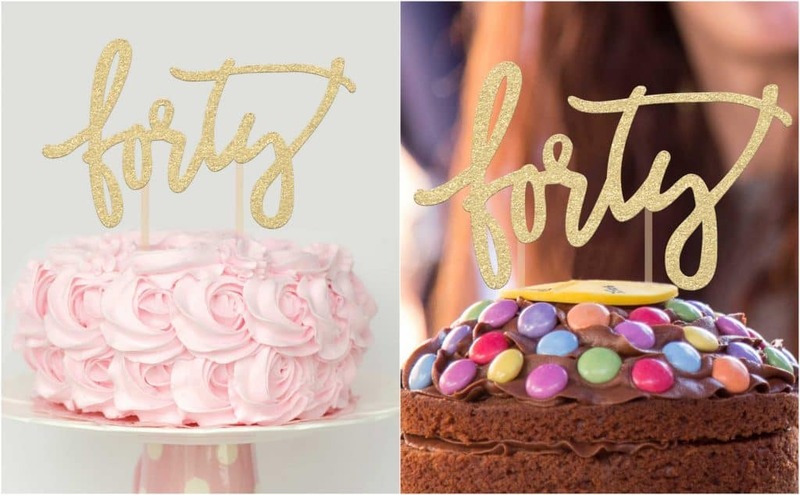 Our unique gold 40th Birthday Cake Topper is exclusively designed in the USA and it features a special & unique design with premium quality cardstock glitter paper that leaves no trace or residue on your cake or your hands! The color, design and overall aesthetics makes it perfect for both men and women turning forty. YOU ONLY TURN 40 ONCE! – So make it a special day! 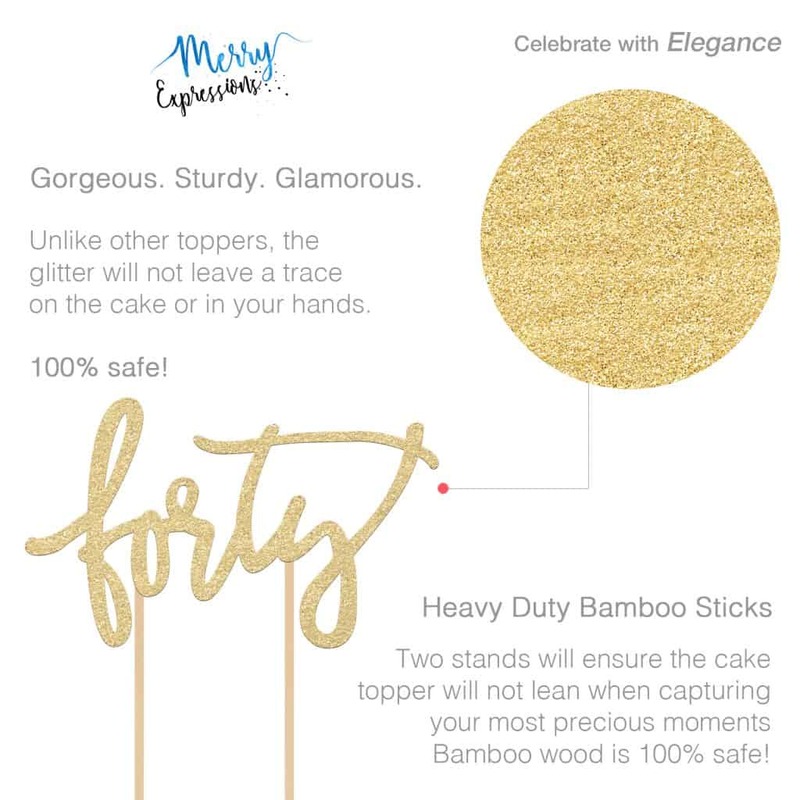 Our unique 40th Birthday Cake Topper is exclusively designed in the USA and it features a special & unique design with premium quality cardstock glitter paper that leaves no trade or residue on your cake or your hands! Use it for as many photoshoots as you like and of course use it on the actual birthday party as well! FANCY CAKE DÉCOR THAT WILL BE REMEMBERED! 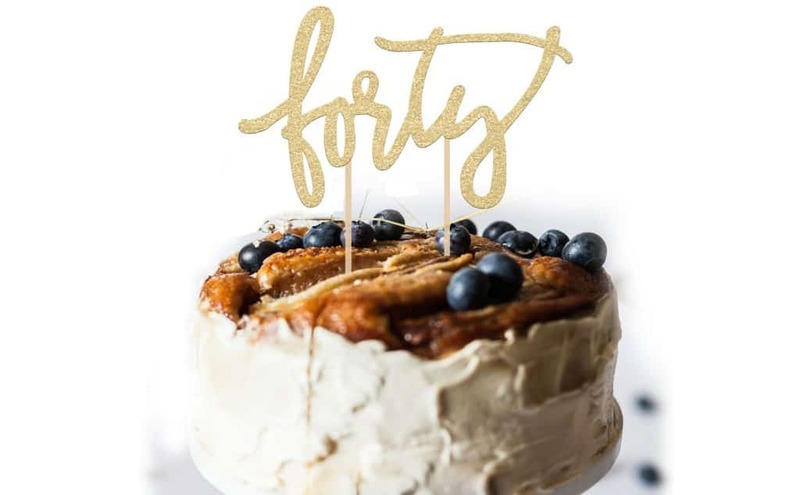 – This birthday cake decoration is made for the young man or woman who’s turning 40 soon and would like to turn their birthday into a day to remember! Its generous 7″ x 3.5″ size is perfect for a full size round cake or a large sized cup cake! HEAVY-DUTY, DURABLE DESIGN! – We know you want everything to be perfect for your party. 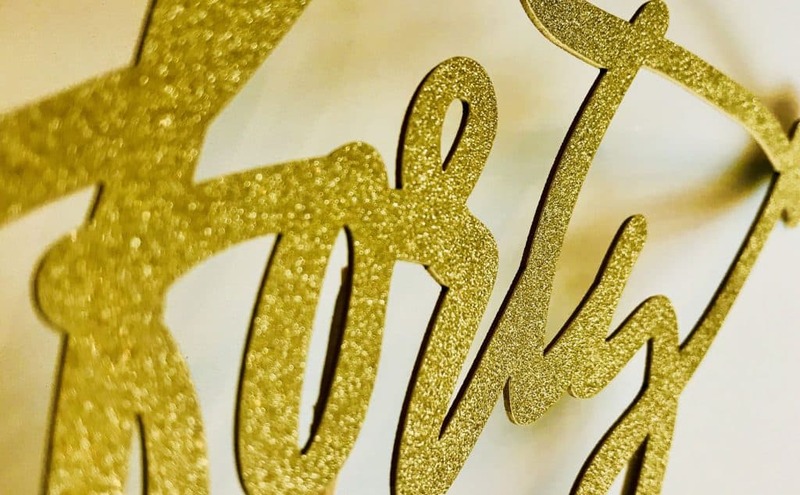 This is why we have made sure our FORTY gold cake topper will not fail you! We designed it using heavy-duty, top-quality, doubled-sided 40pt cardstock paper so that it doesn’t bend, twist or break in any way! PERFECTLY SAFE, FOOD-GRADE MATERIALS! – Our sparkling 40th birthday cake decoration is made with 100% food-safe materials. The glitter paper we use will never leave a trace in the food or your hands. We also use harmless, eco-friendly and nontoxic bamboo wood for the construction of the stick. Just place the cake topper on your cake with zero hesitation!